The thread name says it all. Pleas only post links to your desktop or use thumbnails, no window stretching pictures allowed. 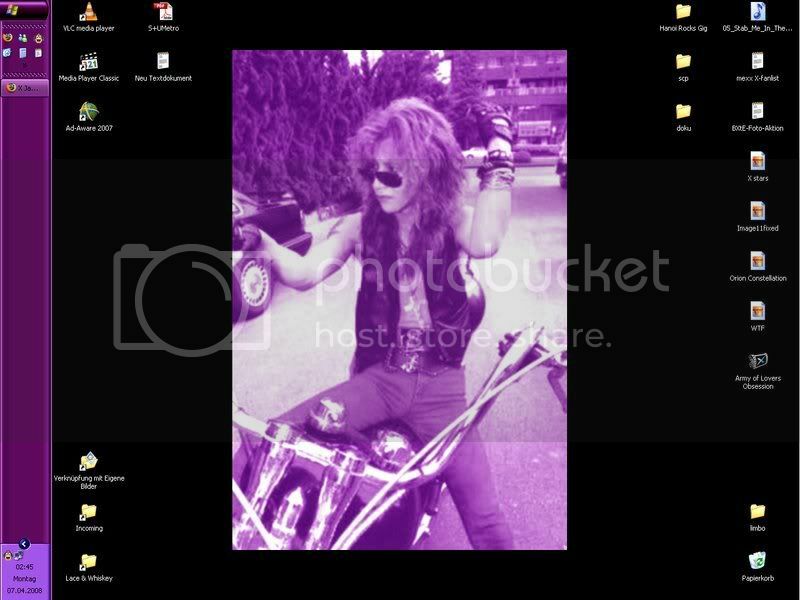 I use the 'Hide desktop icons' thing, keeps everything nice and clean. 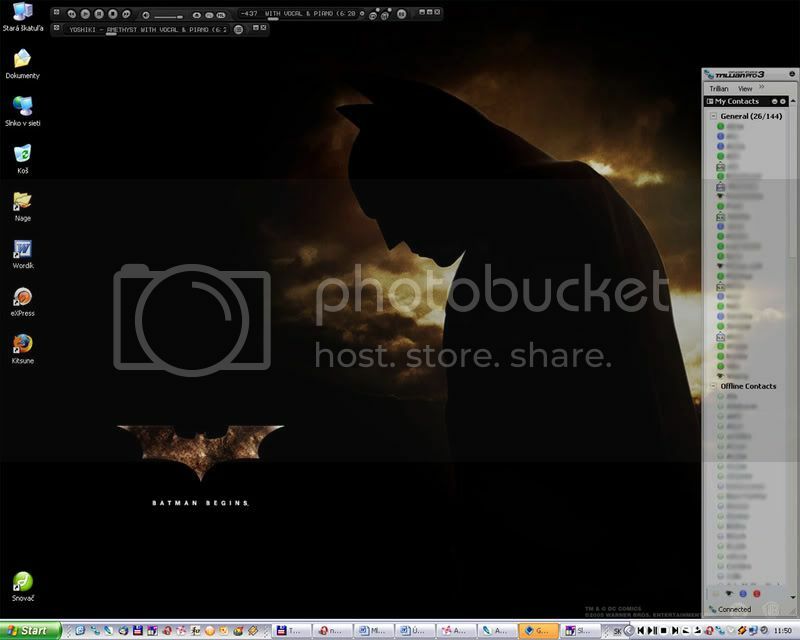 If I need something I use either the Start menu or Quick Launch. 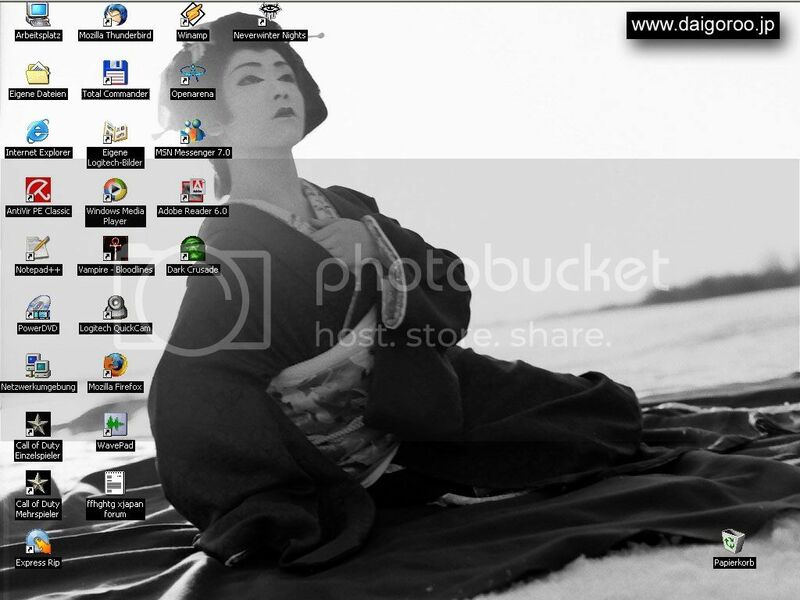 On the wallpaper is Fuu from Samurai Champloo. I made that wp of Anderson Cooper myself, I kept it all in b/w so it's not too distracting. Sander, I see an evil star like symbol there!! !...and I know how to get rid of it , hehe. Yes, yes, I'm seriously on a Depeche Mode trip right now, need Live DVDs. 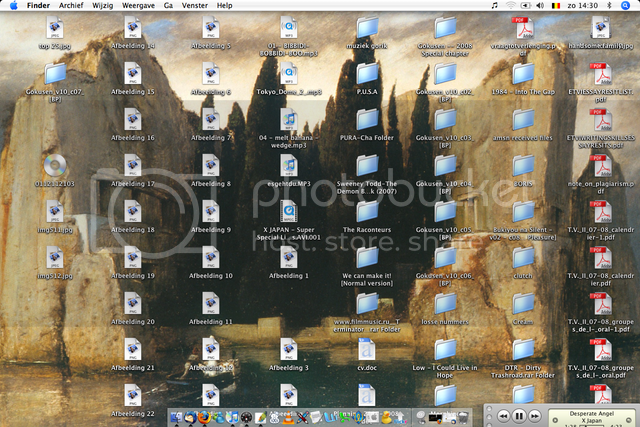 I need to clean my desktop up XD. The painting is Island of the Dead by Arnold Böcklin. Heheh, why am I not surprised? Is it just me or does Taiji look a little uncomfortable somehow in that photo? Hard to explain... maybe it's because of the way he's holding his arm up or something. Oh... well, I'm afraid it's just the too tight jeans of... my pinup. But that's okay... nobody's perfect. Here's mine (made by Yzaleen). I removed some picture because they're private. I let her choose all the pictures for this one. 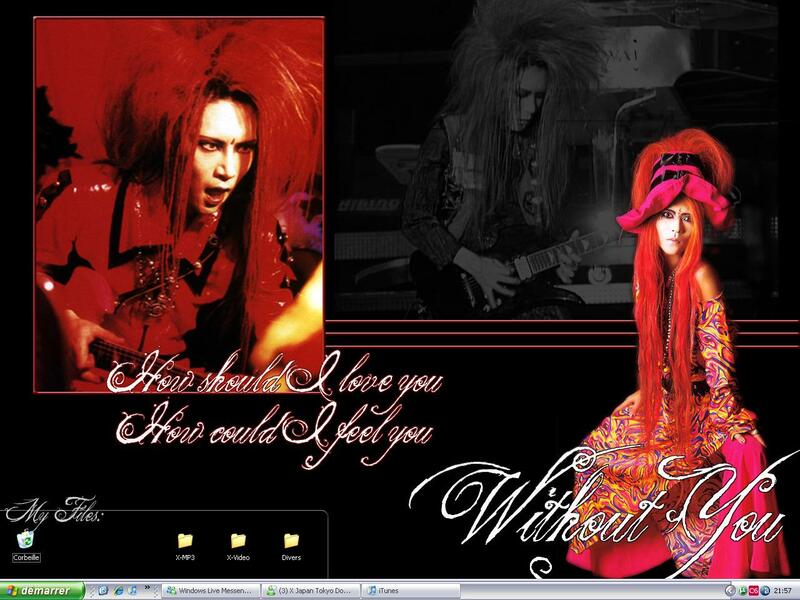 It's why there're some Gackt and Hyde pics lol ! She should be making my April wallpaper right now (I got a new each month ). Windows 98 ? Wow... may I ask why ? now this comp is not very new or fast, so windows xp would just run extremely slowly on it and thaT's not very useful. Ok I was just curious ! It's just that nowadays most of "old" computer can still run Windows XP. But I'm like you, I prefer an old OS running fast than a new one running slowly ! Hey, why be embarrassed? Kabuki theater rocks! Pretty good movie too, though I thought the song&dance number at the end was a little... strange. Yeah I loved the movie, but i love all of Kitano's movies... they're so great, they just have another feeling of sadness and violence than western movies. Subtile and on the other hand so explicit. But I couldn't watch them every day... it's hard to take them, i think. Hey the tap dance scene is cool! Well, that's kabuki for you. 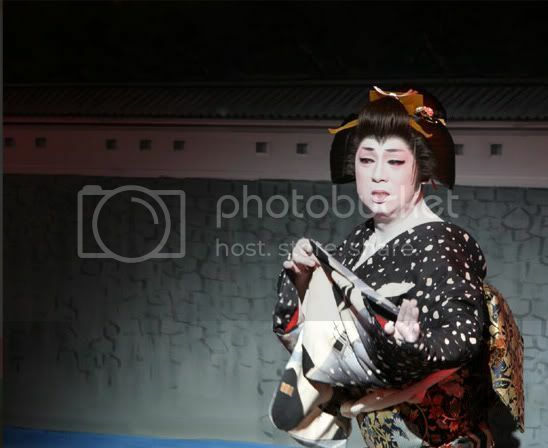 Some of those guys who play the female roles are really incredible actors-- I've gotten to see some kabuki theater live, and saw a man in his 70s (apparently a very famous kabuki actor in Japan) playing a young woman in her 20s. Sounds strange, but the guy was amazing and utterly believable... he had played the same role for 50 years. And I haven't seen all of Kitano's movies (yet? ), but I thought Sonatine was really good. I've gotten to see some kabuki theater live, and saw a man in his 70s (apparently a very famous kabuki actor in Japan) playing a young woman in her 20s. Sounds strange, but the guy was amazing and utterly believable... he had played the same role for 50 years. Hmm, honestly I'm not sure-- it was a few years ago that I saw him and I don't precisely remember his face. :? But his name was Nakamura Ganjiro III, and his specialty was the character Ohatsu from... ah, what was the name of the play... it translated to "The Lovers' Suicides at Sonezaki", or something very similar to that. ah alright, then that's not him ^^ but there are a few really good older actors. I really need to see a play myself one time. It's very far up on a to do list for when i get to japan.